Without great determination and strive for perfection, the event industry would not be what it is today. The following five event production companies vary in location, services provided, and even size, but the one thing they all have in common is their determination to create great events and cultivate fantastic companies. To be successful in this industry, a commitment to clients, the event crew, and an audience is imperative. These pages are worth adding to your Facebook news feed as they are glowing examples of event production done right. This audio visual company really knows how to treat a client. 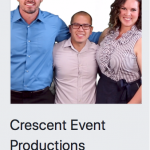 The team at Crescent Event Productions is made up of “customer-obsessed people who just happen to work with audio visual equipment”. At Crescent, they fully understand that success is measured by the depth of their customer relationships. This attitude has propelled the company to great success. In fact, today, 96% of their customers are repeat customers! By training their team to always anticipate the unexpected, they’re able to tackle projects with pre-emptive strikes to ensure timeless experiences for all of their audiences. Check out their informational video on Facebook as their President & CEO, Christopher Gerhart, explains how to tackle a very common event obstacle: When your venue makes you work with their in-house A/V. Make sure to “like” them too! 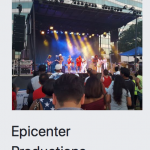 Based out of the Dallas/Fort Worth region of Texas, Epicenter Productions handles event and production management, music and promotional tours, and private parties of all types. Their supportive network of vendors and associates are hand selected as well as fully committed to delivering the best service to their clients. Epicenter Productions has a track record of dazzling their clients by taking an empty lot or a ballroom and creating a memorable experience with the space. If you follow them on Facebook you’ll see that every project is handled with great care, from beginning to end. And, if you’re on the market for updated gear and equipment, make sure to follow their page to keep tabs on what they have for sale. Klassic Sound & Stage supplies custom audio and staging solutions for special events – from planning to execution. 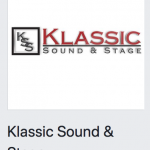 The Klassic Sound & Stage crew is always the first to arrive and the last to leave every single event location. This kind of commitment has given them the opportunity to provide sound and staging for clients such as the Maryland Zoo, The Boys and Girls Club of Baltimore, the School of Rock, and the British Embassy Washington. For the seventh year in a row, Charles County Maryland has employed them to provide services for their 4th of July weekend. Their Facebook page is worth “like” so you can keep up to date on which cool projects they are working on next! 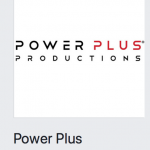 Considered one of Southern California’s leading audio visual and event production service companies, Power Plus Productions specializes in live events, corporate meetings, and conferences. Their goal is to always have the best quality staff and equipment needed to make any event a huge success. And, it appears that all their hard work is indeed paying off. Power Plus Productions just announced that they have become the official audio visual provider for BizBash Live: Los Angeles 2018. Follow their Facebook page to keep up with their latest projects! Anyone else remember slide projectors and sixteen track analogs? 35 years ago, WorldStage was there when those were some of the most popular technologies. It’s only now that some of that gear is becoming “fashionable” yet again. But don’t let their longevity fool you. 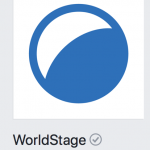 There is no question that WorldStage has kept up with the times. Their growth as a company in the AV industry is a testament to their ability to stay ahead of the competition by offering not only the latest technology, but also services and support. From broadcast to venue and event services, WorldStage produces events of all sizes and complexities. Check out their Facebook page for more information on upcoming projects, fun videos, and pictures of their most unique productions.